Huge Fresh Burger As Cake. 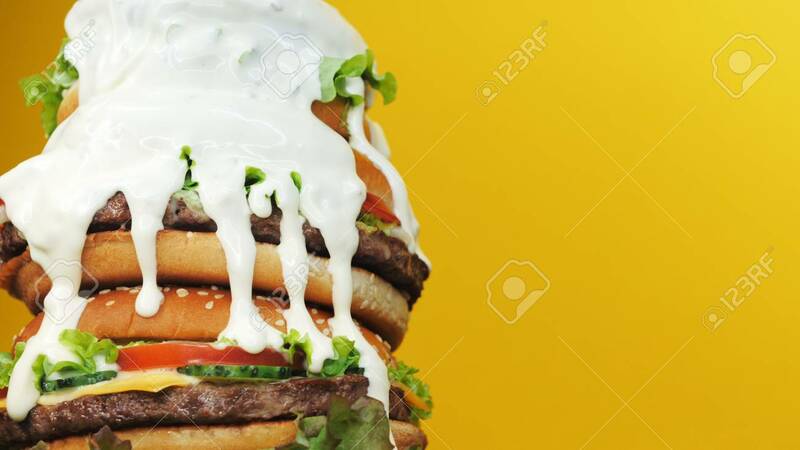 Mayonnaise Fat Sauce Poured From Top. Yellow Background. Fastfood, Unhealthy Food Concept. Copy Space Foto Royalty Free, Gravuras, Imagens E Banco De Fotografias. Image 113743670.